Bellas Fashionistas is proud to showcase Latinas that are climbing the corporate ladder in America, smart and talented women working their way up and leading by example, serving as an inspiration to others. Major: I started as Journalism major and then in my sophomore year switched to Business. Last book read: Drown by Junot Diaz for pleasure. Ben Franklin’s 12 Rules of Management by Blaine McCormick for business. Both Diaz and Ben Franklin are geniuses. What is your job description? As President and Publisher, I am responsible for the operational, strategic, and financial success of our site. What is the biggest misconception about women in business? I think the bigger problem is how there are still generalizations about gender when it comes to leadership. There actually have been studies that show more similarities than differences among senior executives of both genders. How you do you balance family and career? Honestly, it is never going to be perfectly balanced. You are constantly questioning yourself. What makes the balancing possible is having a support system at both work and home. What do Latinas and women bring to the table? Our strong work ethic and our natural inclination to nurture help us cultivate collaboration and teamwork. 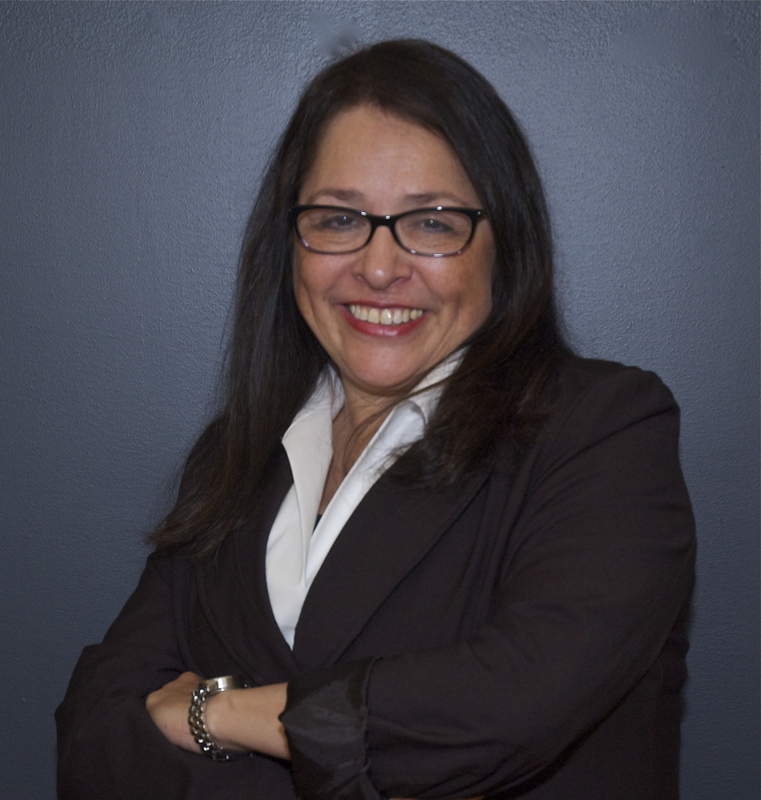 Why do you think there are not many Latinas in leadership positions in Corporate America? Our strong family values make it difficult to maintain a single focus and uninterrupted career path that leads to the executive suite. Most Latinas I know have taken detours in their careers due to family; I know I have as well. You tend to see more Latinas in entrepreneurial environments versus corporate ladder climbing. How important is money when it comes to job satisfaction? Money should never be the driver, or the sole motivator of success. Passion and perseverance will bring success — the money just automatically follows. What must be done to empower women to pursue high ranking positions? Women must support other women. Building a strong network and finding mentors is crucial to any young Latina who aspires to be in senior management. People know you are Latina when… I am proud of my heritage and although I carry a surname ‘Sampson’ that is non-Latin, I make sure people know that I am Patricia Sierra-Sampson. There are so many negative images and stereotypes of Latinos in the media; it is our responsibility as successful Latin people to promote who we are and share our stories of success and accomplishment. What is the secret of your success? How did you get where you are today? I am very passionate about the web, about publishing. It never seems like work to me. I like what I do every day and that is what motivates me to succeed in my profession. Have you ever felt excluded based on gender or culture? I started my career in the production end of publishing which was very male oriented. At that time it meant negotiating print contracts and paper purchases with mostly men. I was young, a woman, and a Latina which meant I was not embraced with open arms. I was fortunate to have a strong woman manager who was a trailblazer and taught me that if you know how to make money and save money for your company, your gender, background, ethnicity is secondary. Money does not discriminate. Biggest mistake made? I think mistakes are necessary for growth. Every mistake comes with a lesson that helps make you better. Decisions that I may have thought were a mistake in hindsight turned out to be pivotal junctures in my life that affected the next phase of my development thus all were necessary. What are more proud of? What has been your biggest accomplishment? I will always say that my biggest accomplishment and what I am most proud of has nothing to do with a career. I am a good mother that has raised three good human beings that positively affect our world. Can there be anything better than that? Who inspires you? I am inspired by anyone who goes after their dream in a relentless, passionate manner. Regardless of challenges and obstacles, the people that forge ahead are who inspire me every day. What do you say to Latinas facing challenges to have a voice and a place in America? Be bold! It comes more naturally to men but Latinas need to understand that being successful means knowing how to compete. Being aggressive when necessary, being decisive, speaking up and taking deserved credit for success is something Latinas may find difficult but must work to make it part of their DNA. 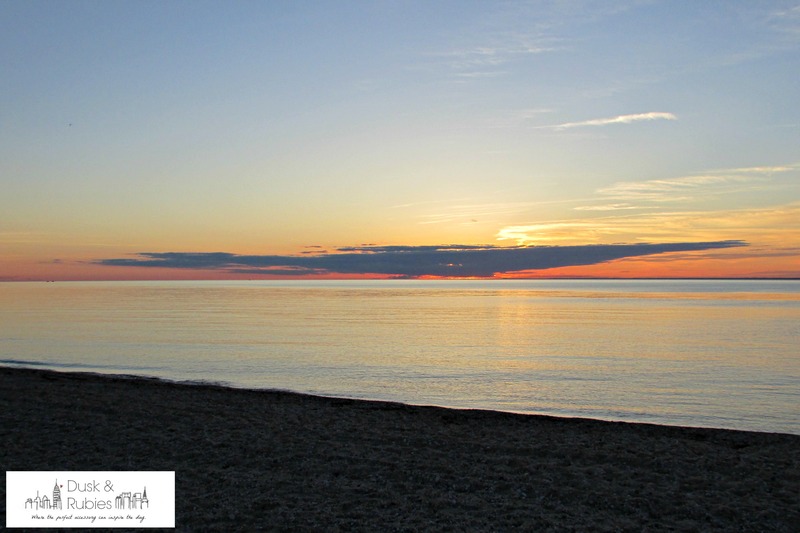 Every weekend brings thousands of people from the hot city streets of Manhattan out to the hot sandy beaches of the Hamptons, and Sunrise Highway becomes flooded with bumper to bumper traffic. 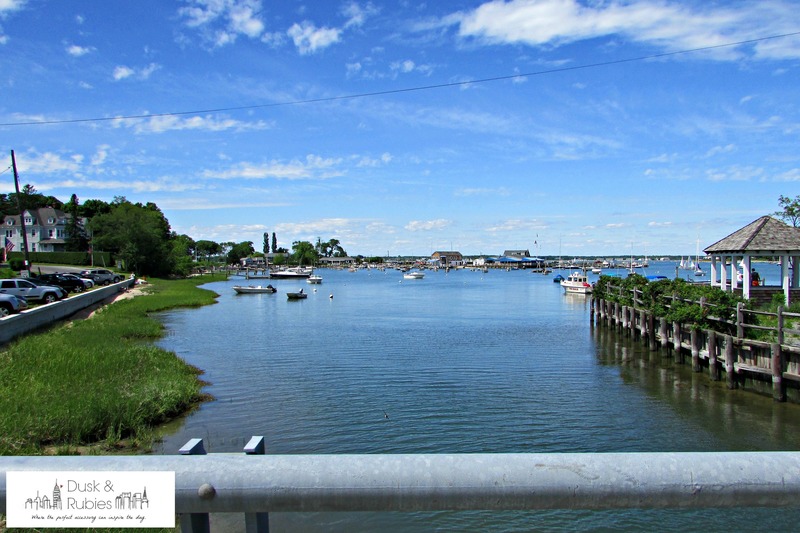 Usually I play it safe, and stay far away from the frustrations by lounging by the pool, but this past weekend I decided to take a chance and voyage to Greenport where we could take the ferry to Shelter Island. We hit no traffic on Sunday, and the trip was so affordable and relaxing! Take a look at some pictures below. 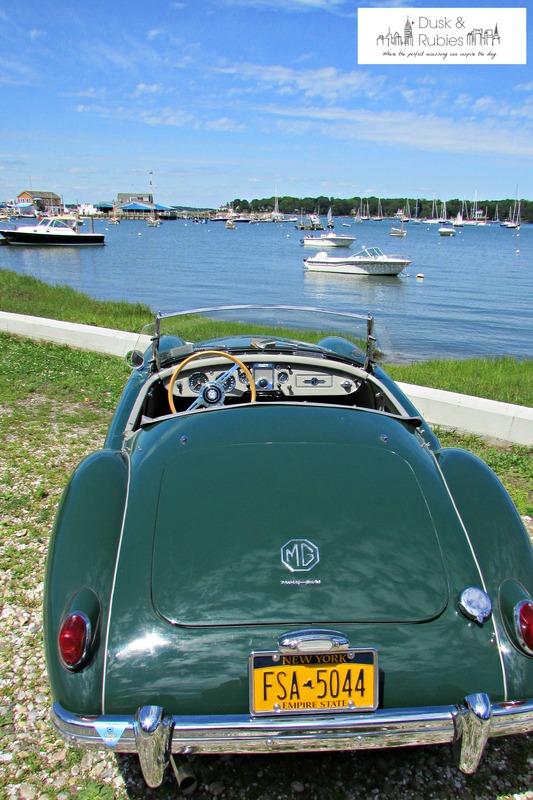 What are the perks of staying on Shelter Island for the weekend? Let us list them for you! 1. Ferry trip is cost efficient: If you take the North Ferry it costs $2 to walk on, $15 roundup to take your car, $5 to take your bicycle, and if you do decide to leave your car parking is free! I like not having to worry about all the extras and I am sure you do too! 2. 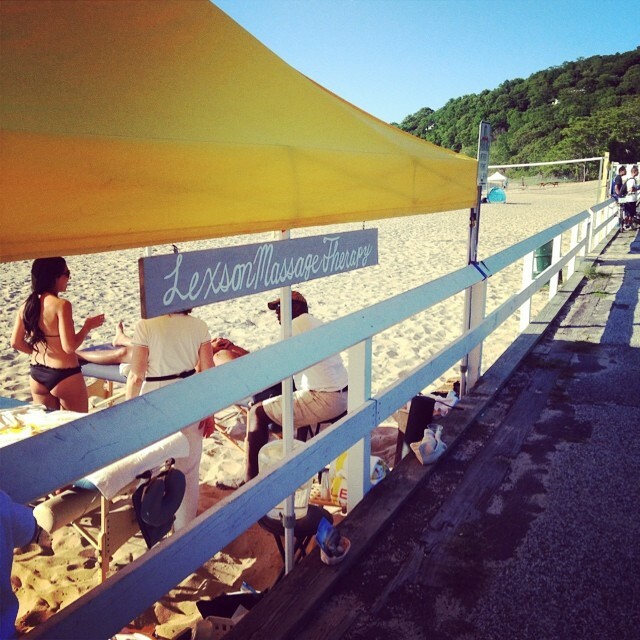 Beaches: There is plenty of beaches to visit, and activities to do on the island. 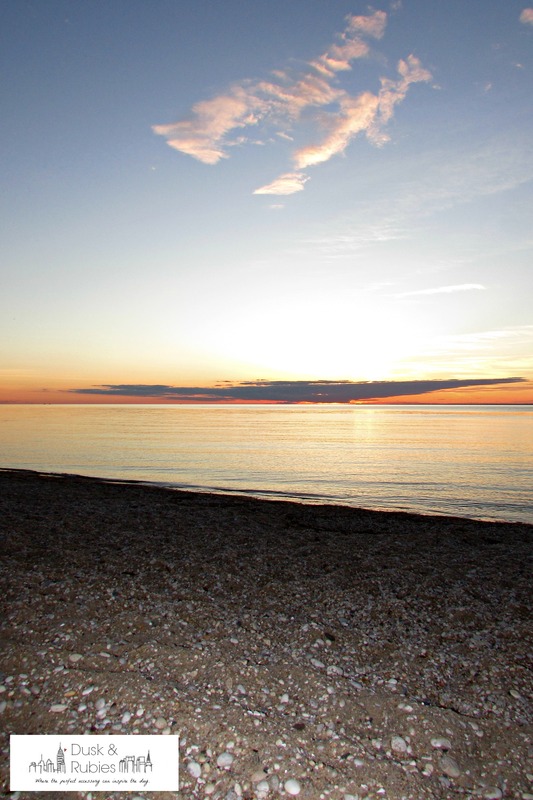 One of my favorite beaches is Crescent Beach. 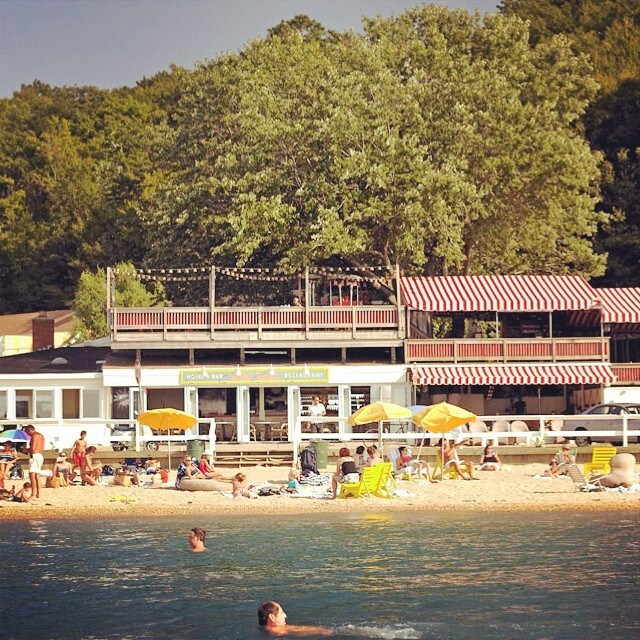 The waterfront home to the chic Sunset Beach Hotel. 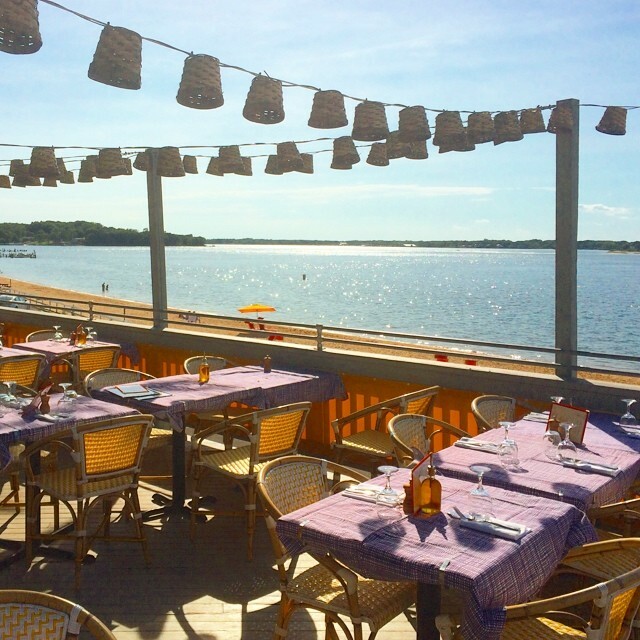 While the Sunset Beach Hotel is an expensive hotel, you can still use their beach and dine at their beach-side restaurant without staying in the hotel. 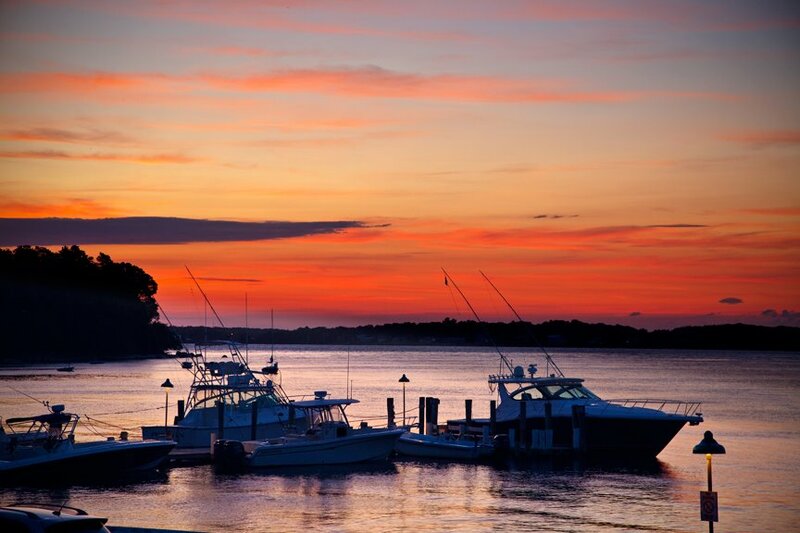 If you are looking for a more affordable place to stay, then there are many Bed & Breakfasts on the island as well as the notable Pridwin, which offers a private beach, pool, kayaking, sunfish, paddle boats, bicycles for local touring, tennis and excursions to the Mashomack Preserve. 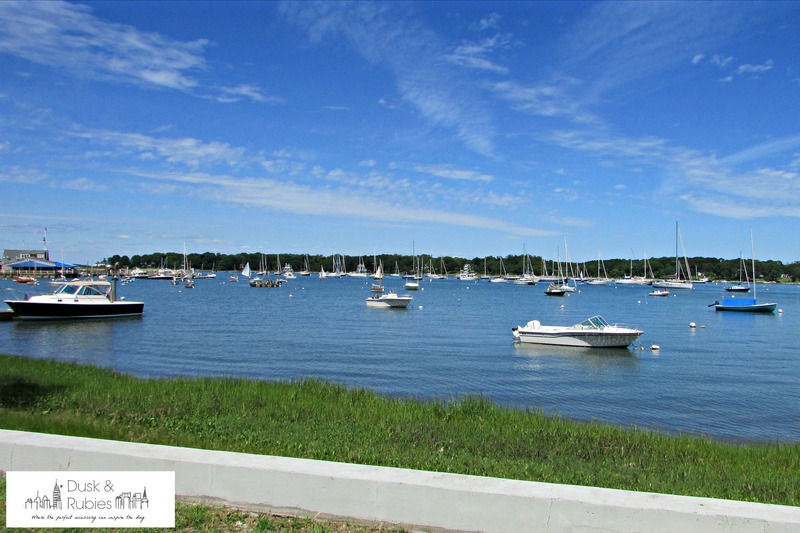 So next time you’re looking for a last minute and affordable weekend getaway, check out Shelter Island and its amazing beaches, amenities, and views! Walking out of the hospital with a five day old baby girl and a cesarean section is enough to scare any 21 year-old first time mother. Having her husband by her side, a man slightly older and with a bit more knowledge about babies is enough to reassure her on their first night home. When they arrived, the husband quickly fixes something to eat and tells her she should lie down and rest. They’re both in love with the little person they brought home and could stare at her all night long. The first time the baby cries they both wake up and the husband volunteers to bring the baby to bed so she doesn’t have to get up. Although he works in the morning he understands that his wife cannot move around freely just yet, he is willing to change diapers and help as much as possible. They fall into a routine and share the responsibilities of raising their child equally. When they start to socialize with friends and family some are shocked that a Hispanic man is so willing to change diapers, bathe and feed his child. Friends and family make comments to him that is the job of the mother, why is he so willing to take on the responsibility? How he responds endears his wife forever–they both understand that this is what being parents entails and they are willing to take it on together, no matter what others think or feel. This example of a new father willing to share the work of raising a baby is so often not celebrated in our culture, many men decide that it is not their job to do certain tasks and they simply just don’t do it. It is amazing that most women in the Latin community are taught that real men don’t need to involve themselves in the day to day care of their own children, shockingly it is not the men doing the teaching! Most young mothers are taught that it is their job to take care of the baby and the father should solely provide and discipline. This Father’s Day lets celebrate those men who understand that changing a diaper, bathing and feeding his baby will create a bond between him and his child. That spending time with his child is not babysitting nor doing a favor to the mother of his child. Remember that babies grow up and they remember and appreciate the bond created from the beginning. So continue to take care of your children, continue to be great dads and enjoy the relationship with your children. On this Father’s Day enjoy your children! Wondering what to get your dad for Father’s Day and just don’t know where to start?! Below are the top items to get on his special day. 1. Wallets – are the least thought-off gifts to buy on Father’s Day. We know it is one of most needed items on a day-to-day basis where dads often stay with one until it tears apart; sad but true! On this Father’s Day, surprise your dad with these must haves that will simplify his day. 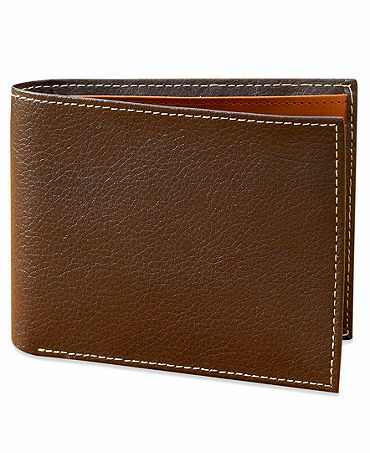 Get rid of the black wallet and give him some color with this brown leather Perry Ellis New York Simple Bi-fold Wallet on sale at Macy’s for just $17.99. 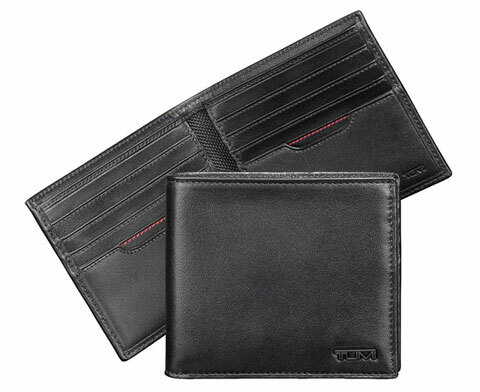 If dad prefers a basic, and classic wallet, try the Tumi Bi-fold wallet also at Macy’s for just $80.00. 2. Personalized Dad’s Gift and let him know he means the world to you! Check out these items he will truly enjoy and never forget! 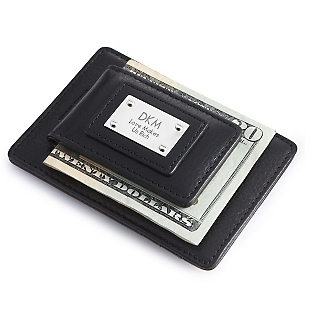 Engrave Black Duo Money Clip is one of the simplest and lightest wallet to carry by Things Remembered for only $25.00 – write a message or his initials. 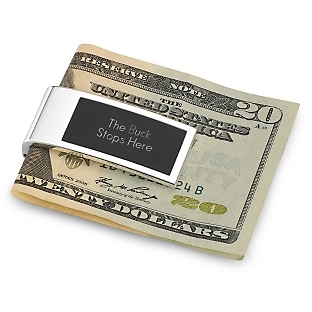 If dad is tired of carrying loose money in his pockets, try the personalized Black Matte Money Clip that will help him organize his money for only $20.00. 3. 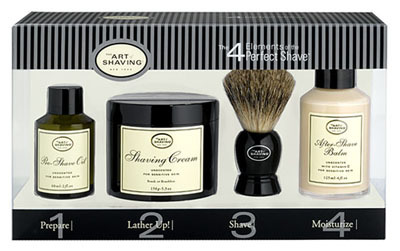 Shaving Kit – surprise your dad with a shaving kit that will leave his skin beautifully smooth and well treated. For those traditional dad’s, they will appreciate this old-school shaving kit that will remind them of the old times! The Art of Shaving Kit can be found at Sephora for just $60.00 – it’s a simple 4 step process treatment that tantalizes deep into the pores leaving the skin refresh. 4. 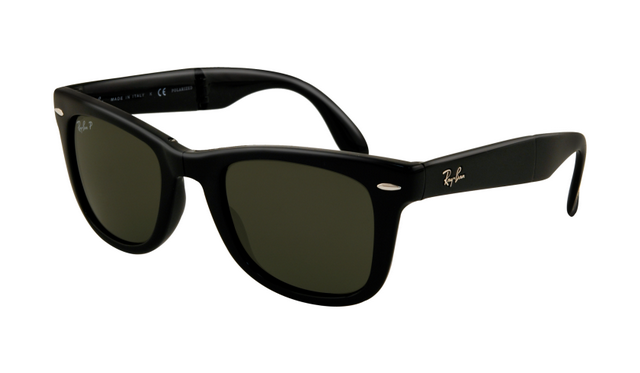 Sun Glasses – get your dad a fancy pair of Ray Ban, Classic Cool sunglasses, perfect for any occasion; wear it for work, to go fishing, camping or for a wedding. The all-day wear can be found at Sunglass Hut for $94.95. 5. Watches – dad always needs a watch to get around – so why not get him a cool and hip watch either in black, silver or gold. 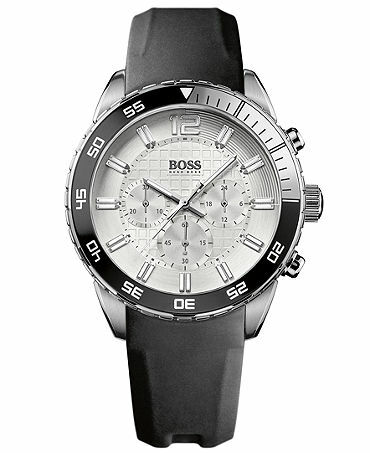 Try out the following top watches from Diesel, Hugo Boss, and Bulova to wear daily or for an elegant occasion. 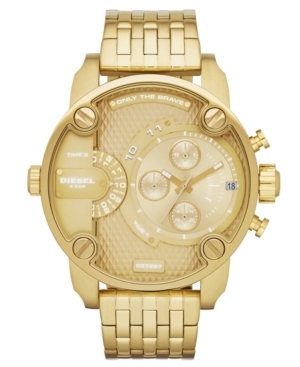 Diesel Watch Men’s Gold-Tone Stailess Steel can be found at your nearest Macy’s stores for $325.00. Hugo Boss Chronograph Black Rubber-Coated Leather Strap Watch can be found at Hugo Boss website or at Macy’s for $350.00. 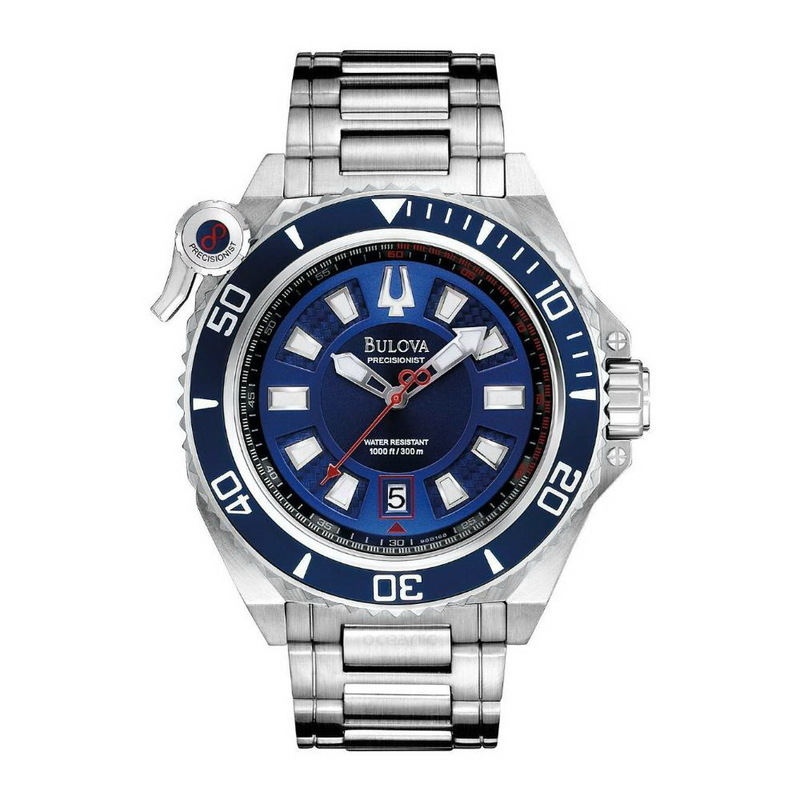 Bulova Mens Chronograph Marine Star Stainless Steel Watch can also be found at Macy’s on sale for $286.00. 6. 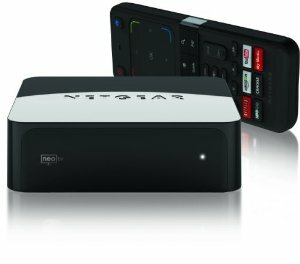 Netgear – NeoTV Prime Media Player with GoogleTV – is one of dad’s must haves! Let your dad watch and enjoy the different features on this mini-computer system all straight from his Platinum TV. Enjoy live TV, Netflix, surf the web, watch Youtube videos, movies and more with the touch pad remote. This cool gadget can be found at Best Buy Stores for only $99.99. Summer is peaking its head around the corner so it’s time to get your eyes dressed for the occasion! What’s great about the summer is that there are many looks to enhance that radiant summer glow beginning with your eyes. 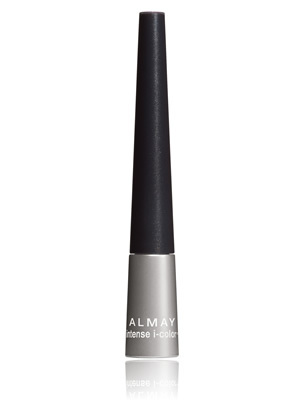 One featured product that is great to use – especially in the summer are liquid liners. 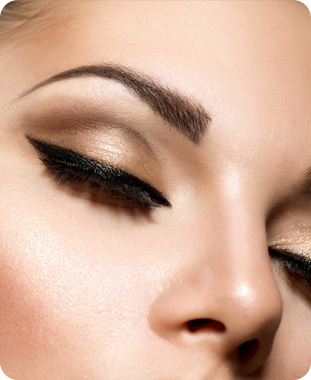 The liquid liner look has been a beauty focus this year and rightfully so! 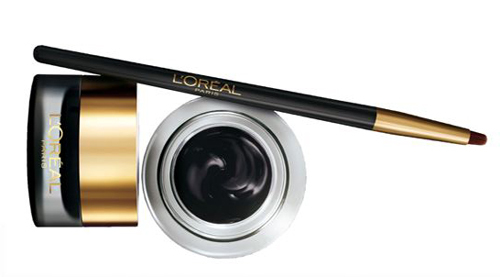 Liquid liners offer the precision and definition that your eyes deserve. They help to not only define the shape of your eyes, but also accentuate them. 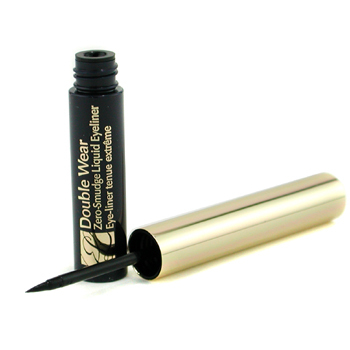 Many women have mentioned that they are afraid of using liquid liner as it requires a steady hand. 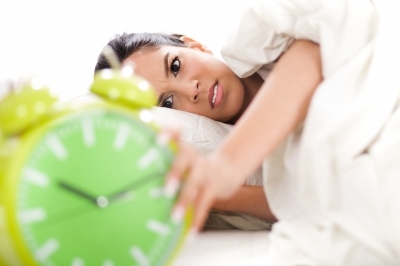 The truth is that it takes less than a minute depending on the look you want to create! The trick is to let your inner girl come out to play and to experiment. 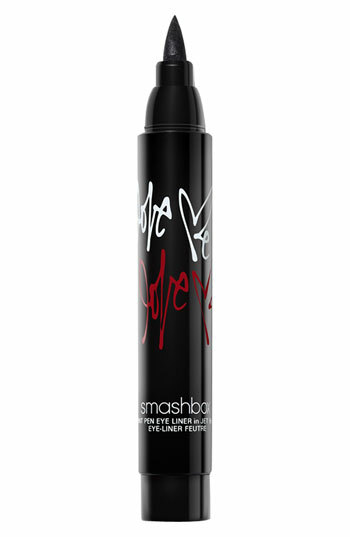 There are liquid pens such as Nars Stylo Liuqid Liner, Stila Stay All Day Waterproof Liner and Smashbox Love Me Paint Pen Eyeliner, which are great to use as they are easy to handle. There are dip ink well liquid liners with a dip applicator such as Estee Lauder Double Wear Zero Smudge Liquid Eyeliner, Almay Liquid Liner that are reminiscent of calligraphy pens, which give a little more control if needed. 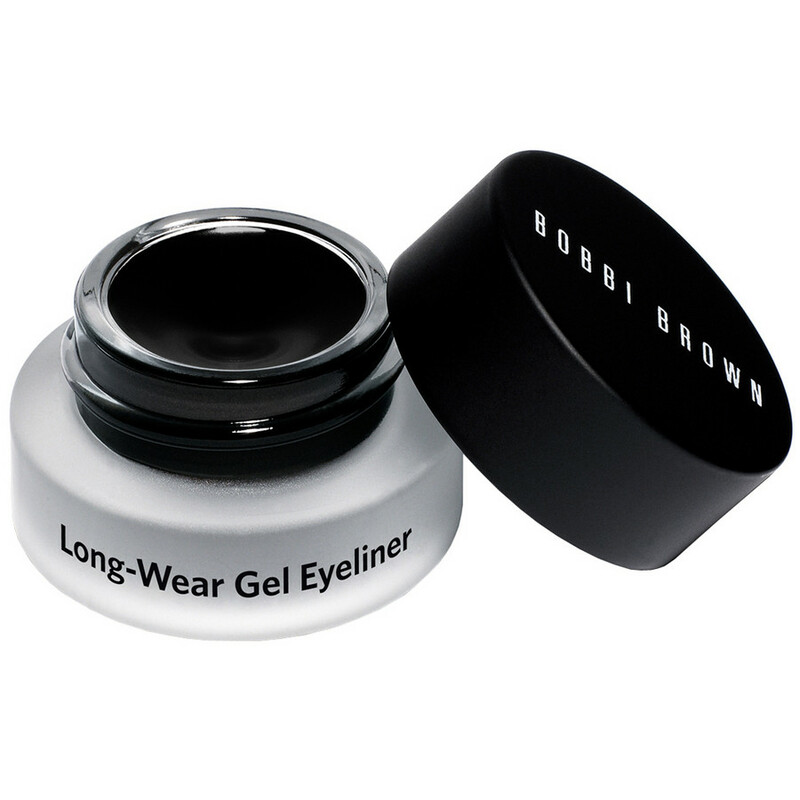 Lastly, there are gel pot liners such as Bobbi Brown Gel Liner, MAC gel liner, L’oreal Gel Liner that are for the more advanced user as it requires a separate lining brush. The trick is to find the right type of lining brush that you control and create the line. 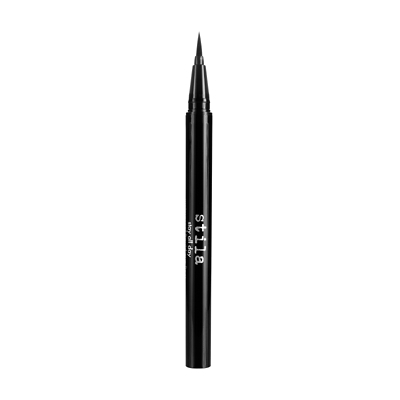 We like Bobbi brown – as it has a pointy yet rounded tip so it is easy to draw and create a steady line. Wherever you are in your expertise from novice to expert – there is something for you! 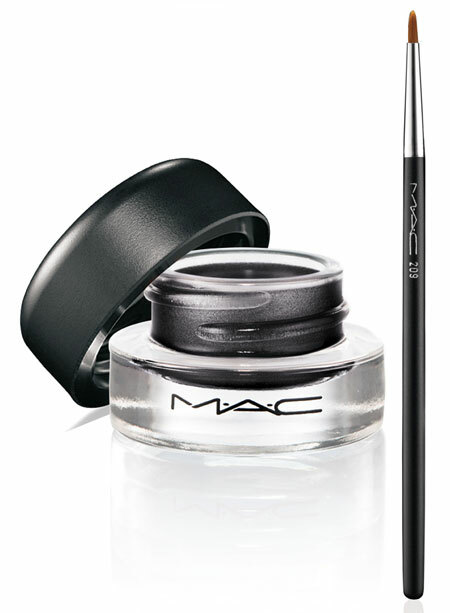 There are many ways to use a liquid liner- either a natural close to the lash line look or a bold winged tip effect. Of course, if you want to take the look even further, you can tap into the artist in you and design your eye an “outline” around your eye lid- The best thing about liquid liners is that they come in great colors! Obviously black is a great staple and can be used anytime, anywhere! 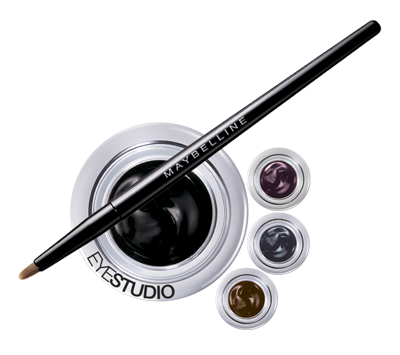 Don’t forget about Colors such as bright blue, Teal, green, purple just lighten and brighten the eyes and add summer fun to your face – not to mention a flirty look to eyes – try Eye Studio Lasting Drama by Maybelline that brings a variety of colors. Go ahead and experiment this summer and pop those gorgeous! 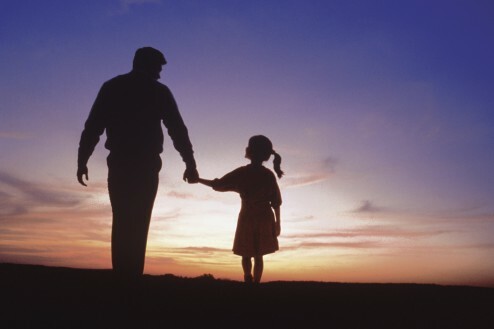 Everything I needed to know in life I learned from my dad… sounds like a title of a book, it easily could be. Don Juan as many people call him today (Juan Yumba as his friends from youth call him and Juan Pascual as those that respect him call him) is my dad, a man wise beyond his years and very smart in all of life’s issues. A man with more education than many of today’s top scholars, yet his education comes from life and a very clear vision. I can’t believe the time has come for me to agree whole heartily with his teachings but here goes. My dad taught me so many life lessons that I have passed on to my daughters and grandson. • Never trust a person that doesn’t look you in the eye. This is a winner! • The answer to most questions should be” let me think about it”. This was always the answer I got when I asked for something growing up and this is always the answer I gave my kids. It is the answer that saves me from unwise responses all of my life. My dad’s logic is when you are asked a question and you are quick to respond sometimes you may get yourself into situations you are not prepared for. By saying let me think about it you give yourself time to analyze your response to the point you are satisfied with it. 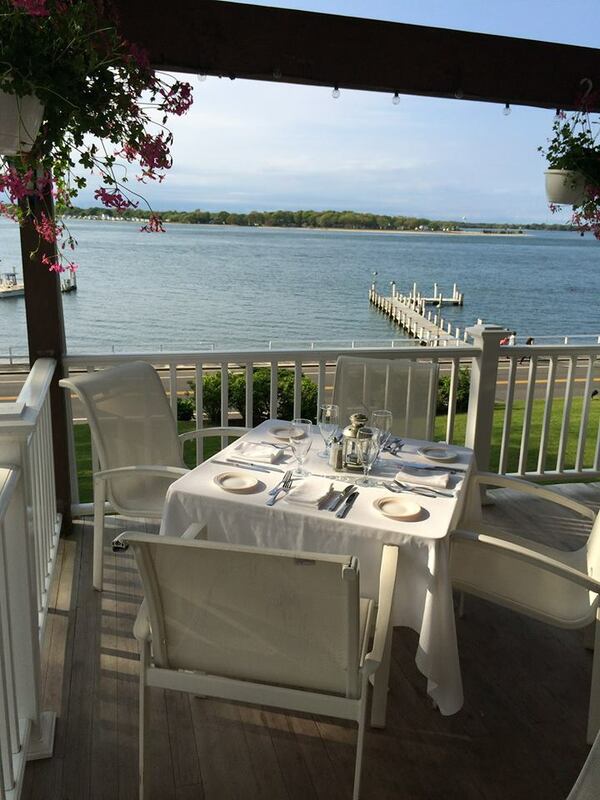 • The dinner table is for family bonding, more so than for eating. At home we ate at the dinner table every night there was to be no television no distractions, it was a place to sit and discuss family issues, even when I wasn’t old enough to actually discuss anything, it was understood that the dinner table was for bonding. Today my dinner table is always set always inviting my family to sit and bond, Thanks Dad! Some of my most precious moments with my family have been around the dinner table. • Always smile it is your best asset and your greatest weapon. Again thanks Dad a smile has gained me the opportunity to meet some of the most amazing people and a smile has been my greatest weapon in tough situations in life. • Learn the art of holding doors. The correct way of entering and exiting an establishment standing aside, not blocking the isles, doorways…. These lessons cause me so much aggravation as a child, but more so as an adult because I can still hear him to this day… the correct way to enter an establishment is to wait on the right site for those that are exiting. Always look behind you and hold the door for the next person. This is where I ask myself why others couldn’t have had a Don Juan teaching them these simple life lessons. When I am at work and a bigwig rushes in thru the door that I have opened for myself as I balance my breakfast, the security key, documents, countless packages and the door without so much as a backward glance. I want to scream you classless idiot! Did no one teach you how to hold the doors or at least not rush in while someone else opened it for themselves? • Never litter, Don Juan was always very strict about this one, you must contribute to the cleanliness of the community. There is no reason in the world to toss trash on the ground none! My daughters learnt this same way I learned… it was ingrained. • To be heard you do not need to raise your voice. People that need to scream to be heard usually have nothing substantial to say or have not learned the art of communication. It is a very unpleasant habit, and makes you look like an uneducated fool. Unless you need to yell fire to save someone’s life always use your inside voice. As a kid I thought my dad had the craziest rules and most of the times I wanted to roll my eyes and say but Dad you don’t understand, you are just too old fashion and strict (of course with Don Juan there was to be no eye rolling ever)! Today I appreciate all of his lessons and wish there were more men like him who took the time to point out what having class and education was all about. 7 Inspirational Books That Will Change – Tu Vida! Life is full of tribulations and challenges that it is important to recharge your emotional energy and spirit. Motivational speakers and self-help books provide readers with tools necessary to create and maintain a positive mindset and the energy to move forward when experiencing a major setback in life; whether in need of inspiration, a spiritual growth or get closer to God. No matter how dark your days may be, there is still “light at the end of the tunnel.” So, get a libro, grab un cafecito and enjoy my top picks for this week that can magically set you free. Open your arms wide and receive the blessings – the best is yet to come. You can be happy and discover the inner potential within you. 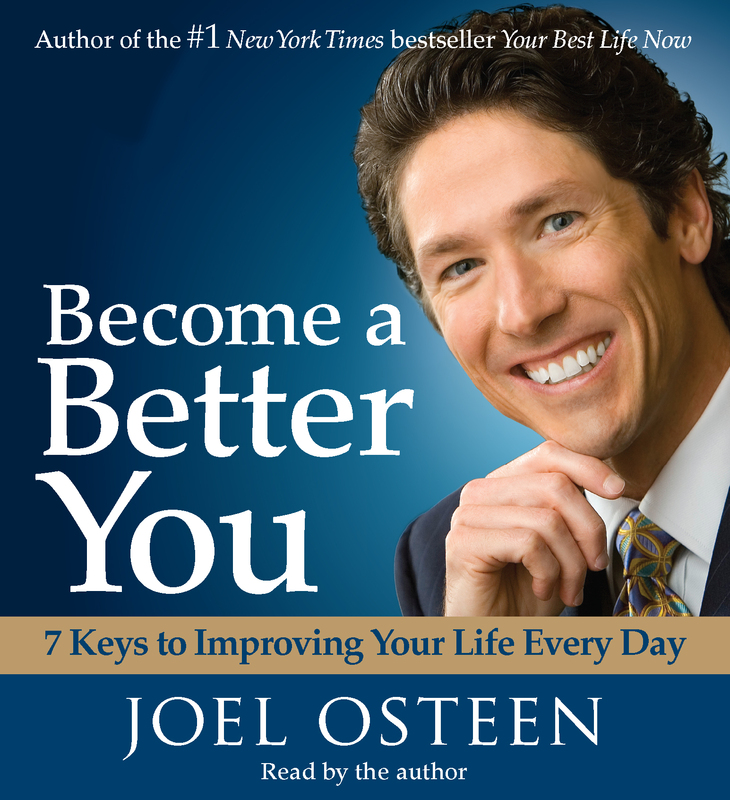 Pastor and New York Times best-selling author, Joel Osteen offers in this Christian book seven steps to become the best version of you and discover the gifts and blessing that God has in store for you. Whether you are religious or not, you will love this book and feel inspired. I am guilty of reading the book 3 times and I will probably read it once again. More than a book, this is a blueprint on how to live life without regrets and move on forward. This wonderful guide will give you key points on how not to “waste precious life time” on things and/or people that are not worthy – with so much depth, wisdom and meaning that will leave you repeating phrases for days! You will definitely relate to most of the life lessons in the chapters. 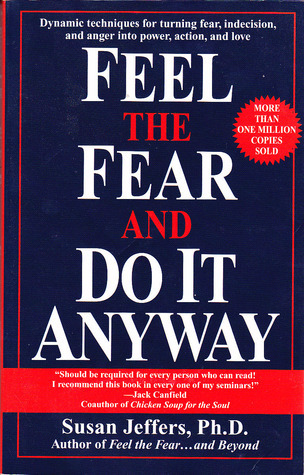 A great self-empowerment book that will help to deal with fear and insecurity. Most people are afraid to make important decisions, ask difficult questions or have uncomfortable conversations. Whatever you are afraid of, you will find courage in the pages of this book to get rid of the victim mentality once and for all. 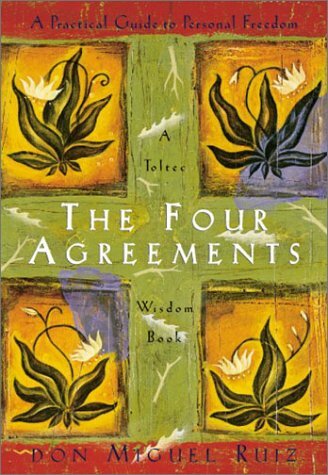 This is one of the best-selling books in history; it has been translated into 56 languages and sold 65 million copies. 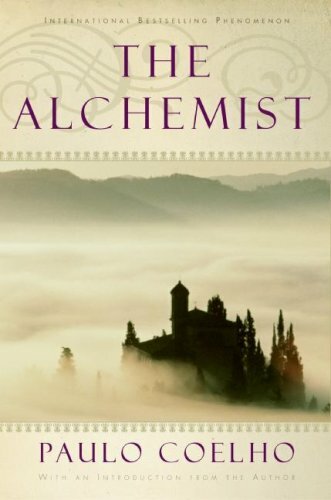 The story of a boy named Santiago who travels in search of a treasure, along the way; he meets an alchemist who teaches him wisdom, to follow his dreams and listen the voice of his soul. You will be inspired by this wonderful novel. The Secret is a life-transforming book that helped people around the world to become happy, rich and successful by practicing the law of attraction. You have the power to attract everything your heart desires by just wanting it. The combination of positive thinking and the law of attraction could make your wildest dreams come true. This is an incredible mind blowing self-help book, you will either love it or hate it, but you will definitely think about the law of attraction long after you finish reading the book. 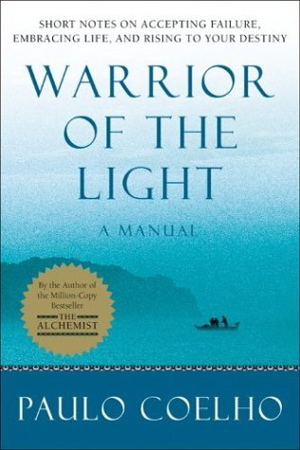 One of my favorite books, after reading it, you will feel ready to conquer the world and reach the stars. 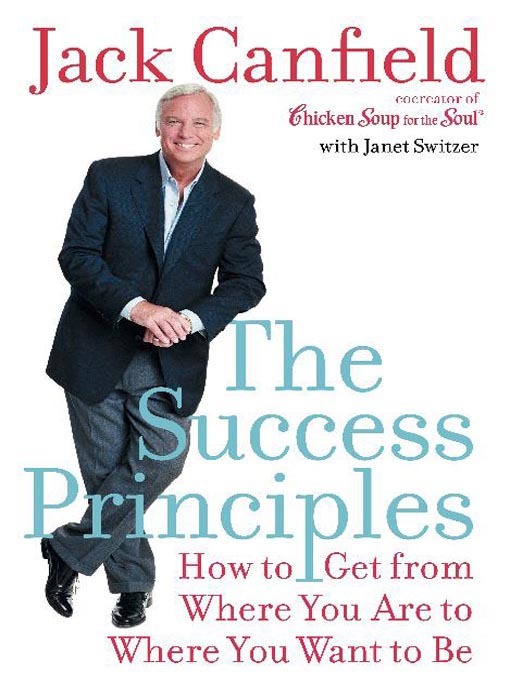 Great principles on how to stay focus, develop discipline and get as far as you want in your personal life, career or relationship. Seamos sinceras amigas, hay días en que despiertas y aunque veas el cielo despejado tu actitud hace que veas nubes negras queriendo convertir tu día soleado en un día nublado. Pues dile que NO a esos pensamientos negativos!!! Aquí les doy un consejo para esos momentos de crisis que a veces tenemos las mujeres. 1. Lo primero que debes hacer es cambiar tu tono del despertador a una canción que te motive, con ritmo, alegre – entre nosotras a veces yo pongo un música disco de los 70’s y 80’s, aunque no es música de mi generación, te saca una sonrisa y empiezas a mover los pies y mientras caminas mueves tu caderas automáticamente, claro que puedes utilizar cualquier música que te motive a mover ese cuerpecito, si nena! 2. Lo siguiente que debes hacer es darte una ducha con algún shampoo para el cuerpo que huela rico como el Herbal Essence Body Wash, y mientras te bañas escucha música movida en la radio y canta – disfruta del momento. 3. El próximo paso es abrir tu closet y busca ropa con colores vibrantes, como amarillo, naranja, fucsia, verde intenso etc. Si eliges alguna blusa de estos colores combínalos con un pantalón o falda blanco o de color claro, aunque también funciona con jeans. Puedes también vestirte con un vestido de colores alegres y brillantes. Usa accesorios dorados, plateados o blancos pero que no compitan con tu vestuario, recuerde que se trata de sentirte positiva, y hay que tener cuidado en no desentonar con accesorios coloridos también. 4. Luego comienzas el día con la comida más importante: el desayuno. 5. En tu maquillaje usa tonos discretos, sombras cremas, colores claros, rubor suave, un maquillaje que se vea natural. Recuerda que lo vibrante y colorido ya lo llevas en tu vestuario. Suelta tu melena y el toque final, usa tu perfume favorito, ya verás cómo te sentirás con ánimos y segura. Ahora amiga, agarra tu cartera y sal a disfrutar de tu dia! Ante una eufórica audiencia de más de 25 mil personas, Jennifer Lopez demostró porque es una de las hijas preferidas del Bronx. En este concierto gratuito, la diva boricua regreso al lugar que la vio nacer y a las calles que recorrió en su niñez. El público estuvo abarrotando el lugar desde tempranas horas de la mañana y ocasionando severos congestionamientos de tráfico en las áreas cercanas a City Island en el Bronx. El condado de la salsa se vistió de gala, para recibir a JLO, quien se lució en el escenario interpretando sus más famosos éxitos, en medio de luces, humo, bailarines y cambio de vestuarios que resaltaban sus ya famosas y exuberantes curvas. Este concierto tomo lugar luego de que diversas celebridades y figuras públicas manifestaran públicamente que la artista de ascendencia puertorriqueña se había olvidado de sus raíces y no era una representación autentica de los Latinos.